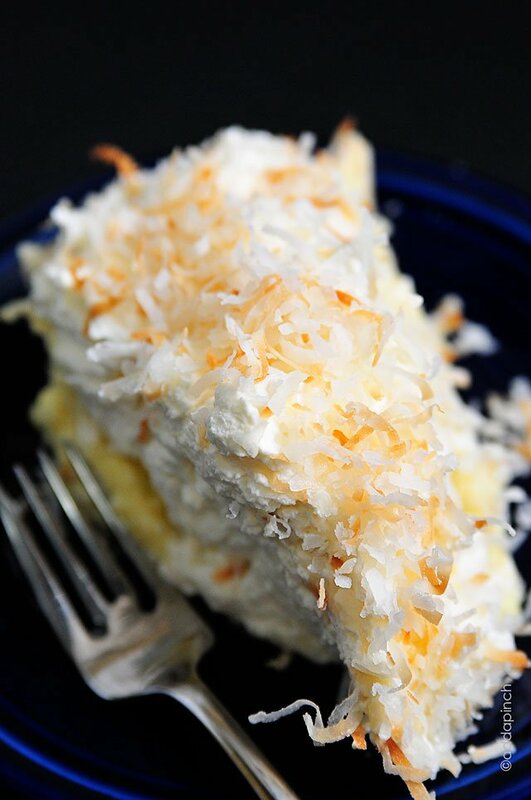 Coconut Cream Pie is a classic. 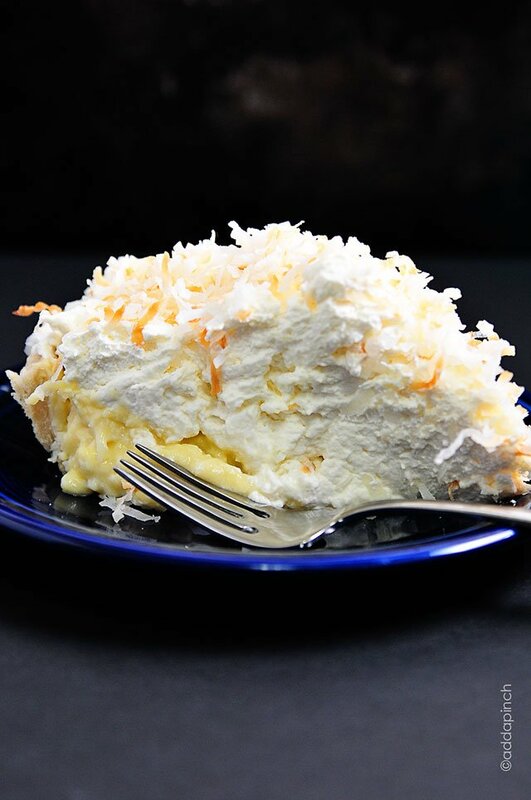 This creamy, dreamy coconut cream pie recipe will quickly become a family favorite! And this, my friends, is a Coconut Cream Pie to beat all Coconut Cream Pies. Well, at least in my book. 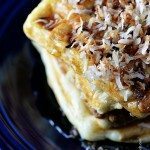 A perfectly flaky and delicious pie crust filled with rich, creamy coconut custard layered with mile high whipped cream and topped with toasted coconut. Now, what in the world could be wrong with that? Making this pie is really one of those times that the effort pays off ten-fold when everyone takes their first bite. This recipe calls for using coconut milk in the coconut custard. While that definitely gives the most flavorful result, you can substitute with whole milk or half-and-half, if needed. It also calls for my homemade pie crust. Now, that recipe is as simple as… well… pie to make, but if you need to use a refrigerated pie crust instead in a pinch, it works just fine. Okay, let’s get down to it. Here’s my Coconut Cream Pie recipe. I hope you love it as much as we do! Prepare pie crust according to blind-baking instructions of recipe. 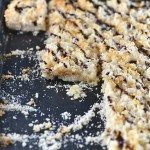 Spread coconut evenly on a rimmed baking sheet. Place into 350º F oven for 8-10 minutes until coconut has just begun to turn brown. Pour coconut milk and half-and-half into a liquid measuring cup. Add egg yolks and whisk together with milks. Set aside. Add sugar and cornstarch to a heavy-bottomed saucepan over medium-low heat. Whisk egg and milk mixture together once more and then slowly begin to add to the sugar and cornstarch, whisking together constantly. Bring custard mixture to a boil. Switch to a rubber spatula or wooden spoon and continue to stir constantly. Boil one minute. Remove from heat and add butter, coconut, vanilla and salt. Spread custard into pie crust. Cover lightly with plastic wrap and chill in the refrigerator until set, about 30-45 minutes. Spread whipped cream on top of coconut custard. Refrigerate until ready to serve. When ready to serve, top with toasted coconut. Would is be ok to use 3 cups of coconut milk, and no half & half? Or perhaps the consistency of the half & half is crucial to the pie? I made this this weekend and it was pure heaven. I can’t stop thinking about this pie. Wow!! And so easy too!! I made this pie and it was awesome! I made a few changes…I didn’t have coconut milk so I used fat free half and half with a tsp of coconut extract also it wasn’t sweet enough so I added a 1/4 c more sugar but other than that this recipe rocks!!!! excusr me. Which is the second ingredien of the coconut custard? The ingredient is half and half. If you don’t have any available, you can substitute with heavy cream. This recipe is the bomb! Sooo goood.. I made it and its ah-mazzzing! Thanks! Loved this recipe. I didn’t have coconut milk. I used 2 cups of half and half and 1 cup of whipping cream, with 1/2 teaspoon of coconut flavoring. Other than that I followed the recipe exactly. Was the best coconut cream pie I have ever had. This pie was awesome! Added onto my list of favorites! Easy to make too. It was really good without the coconut milk, although I will try to get some next time! I also had only about a cup of heavy whipping cream and it turned out to be the perfect amount. Loved this recipe. Made it today for a birthday dinner and turned out awesome. I am going to try making it with a graham cracker crust to see how it goes. Thanks, fantastic recipe and very good instructions to follow!! Graham Crust may not work for such a moist pie. I’d appreciate it if you would email me if it does. My daughters and I never mastered the pie crust so we always do graham cracker crusts. My daughter won best of show at the county fair for her coconut pie in a graham cracker crust. Chocolate cream and banana cream also won in graham cracker crust. Next time if you melt some chocolate and coat your crust it will help prevent filling from making the crust soft and it adds a nice surprise when it’s eaten. Cheers! This was simply amazing! I am going to make it again, but just using the custard without coconut and sprinkling the toasted coconut on top of the whipped cream since I’m not the biggest fan of coconut. The custard is AMAZING!!! This was the first time I’ve tried making Coconut Cream Pie. This recipes was super easy and delicious. It was a true crowd pleaser. I will definitely make this recipe again! for the coconut milk: is it the kind that comes in a can or the one that is a milk substitute eg. So Delicious brand? thanks! This is the canned coconut milk. Thanks for the recipe – this is a great tasting coconut cream pie and I will definitely be making again. 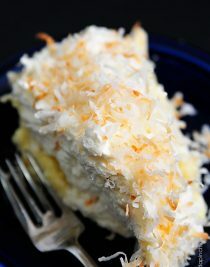 My husband and I love coconut cream pie and had some recently at a nearby restaurant. It was fabulous and inspired me to make one for my husband when he came home from the hospital after surgery. I searched the net and, like you, found many recipes for this dessert. I gave this one a try and he LOVED it. He told me he thought it better than the one from the restaurant. I think the coconut milk really made a difference in the tastiness and I threw in more coconut than suggested. I will be making this next week when we have relatives visiting and now I know it’s easy and delicious. This recipe is great as is and is very easy to make. Is the coconut milk supposed to be sweetened or unsweetened? When my pregnant best friend was craving coconut cream pie with a chocolate crust (we had it at an out of town restaurant), I couldn’t say no. I had made another version before and while everyone liked it, I didn’t think it was “the best”. The custard part was just lacking for me. This time I decided to try a different recipe. I ended up starting out with a different recipe, but when that didn’t set, I found this one. I was a little concerned with the crust I was using (it was already made) because of an earlier comment about how it might now work with a graham cracker crust. This custard was fantastic! And it turned out fine with the orea crumb crust. Everyone loved it. Its definitely my go to recipe now. Thanks for the recipe. I think thus recipe is going t be great but I hate to waste egg whites so how do you think it will turn out if I use 3 whole eggs?? Custards only work when they’re made with just egg yolks, it’s what gives them that creamy consistency. A whole egg would turn it more into scrambled egg texture. Egg whites, however, can be saved and frozen for later use. If you save enough, you can make angel food cake, or used to make pure white cakes. Or just a few can make a nice batch of meringue cookies. I made this for Mothers Day. It was absolutely the best pie I have ever had. Delicious!! I’m so glad you enjoyed it, Danielle! Did you use unsweetened or sweetened coconut milk for this recipe? The can I purchased didn’t say if it was sweetened or unsweetend. The brand I purchased was EL MEXICANO and on the front of the 13.5 FL OZ can (400ml) It says Natural Flavor Leche De CoCo Coconut Milk. Hope this helps. I am excited to try this recipe. My first time making a pie, but I have a quick question. I’m thinking about taking a shortcut, and using a pre-made (store bought) pie crust. I looked at your pie crust recipe and noticed you mentioned to pre- bake or to not. So my question is if using a pre-made pie crust, does this coconut cream pie recipe need me to bake the pie crust or use it as is? It is just sitting in the crust staying runny! Made this pie for Father’s Day and it was so easy and it turned out great! Heavenly! I bake all pies & cakes from scratch – pie crusts, too. I come from generations of bakers and must tell you that I have replaced a wonderful decades old coconut meringue pie recipe with this one. Will be baking two of these delectable pies this coming weekend for company. Hi Robyn-I live in a South Carolina Sun City community and part of the July 4th festivities included a pie baking contest which I entered using your recipe. My pie and your recipe took first place and everyone who had an opportunity to taste the pie following the judging said it was the best coconut cream pie they had ever tasted. 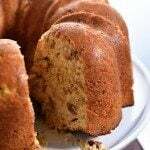 Thank you for sharing this recipe!!! My mom is a pie-maker extraordinaire. So her crust + this coconut cream filling = magic. I made it (exactly as the recipe states) for the first time a few weeks ago to rave reviews. I was bit pressed for time and will leave more time for the filling to cool next time. I left a couple of slices for a family friend and he emailed me to say that it is the best coconut cream pie he’d ever had … and that is his favourite pie. It made my whole week! I made two different recipe’s for this pie. This recipe was one of them. I made them today for Christmas. This one is the one every one raved about. This is truly the best pie I have had. Thanks Robyn for the best and thanks to everyone else for the tips. MERRY CHRISTMAS TO ALL!!!!!! I made sure to cook mine on the stove until it was as thick as pudding. Then I put it in the fridge to cool and it’ started setting pretty quickly. Once it was cooled I added it to the shell and wrapped in Saran Wrap and let it finish setting. It’s not runny at all. I am suspicious anyone with runny custard has not whisked it on the stove long enough. Mine took about 7 minutes on medium heat and I constantly whisked it. I didn’t remove it until it had thickened in the pot to the consistency of pudding. Should the pie crust be pre-baked or not for this recipe? Robyn with out a doubt its the best Coconut cream pie I ever made. My family and friends all say the same. A couple of people have asked if sweetened or unsweetened coconut milk, I have seen no answer. One person asked for a little more detail on the type or brand such as coco lopez. Would appreciate the answer too, please. You can use whichever you prefer. I use regular coconut milk that does not have any added sugars. Coco Lopez is a coconut cream and isn’t really coconut milk. Of course, you can use that if you’d like. It will just make for a really sweet pie. If you use that, or any other sweetened coconut milk, you may want to reduce the amount of sugar you use in the rest of the custard to balance the sweetness. Lately, I have been craving coconut cream pie; however, I need to substitute some of the ingredients because I have.diabetes. What do you suggest? You are so right! This pie is the very best thing ever! My custard did not set and it was runny. There was entirely too much coconut in this recipe. If you make this recipe I would suggest upping the thickening agent or perhaps cooking it longer, letting it boil for three to four minutes. 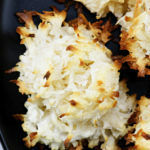 In addition, I would not use more than a half cup of coconut in the filling and far less toasted coconut for the top, two tablespoons would be more than enough for the garnish. One cup of whipping cream is sufficient and would achieve some sort of equal ratio to the pudding. Very disappointed in my results as I followed this recipe to a T and trusted all of the five star reviews. I will be picking coconut out of my teeth for at least a week. You’re reply is way too nice for someone who’s being entirely rude. You’re very classy. This was my first time making a custard pie and it couldn’t be easier with all your step by step instructions and the pie is divine! I’m not a huge coconut fan but this pie converted me! No problems here! Custard set up perfectly. The only thing I did different with the whipped cream was add two tablespoon of softened cream cheese to stabilize it and make it last for days without getting runny. Thank you sooooooooo much for this piece of heavenly pie!!!! Well it sounds like you are well on your way to writing your own coconut pie recipe. Taryn, obviously, doesn’t know that custard pies must be whisked for about 14 to 15 minutes, constantly, until they start to boil, in order for them to thicken and set up, correctly. Robyn, you clearly stated that the total cook time was 30 minutes, which is precise. You can’t just threw things in a pot and expect them to turn out great. (I learned that the hard way, when trying to make my mother’s Butterscotch Pie, which was heavenly, but when I made it the first of 3 times, tasted like flour and wouldn’t set up…not whisked long enough, which she wouldn’t share!!!) The pie has just the right amount of coconut…I used a bit more, by mistake…and is fabulous! Why would you make a coconut pie, if you don’t like coconut? Taryn needs to develop her own recipe, to her taste, but leave this one for lovers of coconut pie! Great recipe! Has anyone used coconut sugar? My husband is a diabetic and it is a lower glycemic index. Please let me know if I can use coconut sugar in this. I think coconut sugar will be fine to substitute for regular sugar. I am diabetic and do this in all my recipes. I will be doing this for my pie 🙂 good luck. 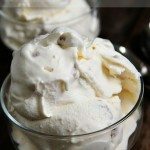 Can you use real cream of coconut instead of coconut milk. I have it on hand to use when when we make piña coladas. I have used cream of coconut and it turns out great. it it possible to substitute a nondairy product for the half and half? I am anaphylaxic to all dairy products? I replaced the dairy milk with just more of the coconut milk (the full-fat kind in the can) and it was awesome. After all it is a coconut cream pie, why not add more coconut?? Even if a person isn’t averse to dairy products I LOVED the way the pie turned out! I have been looking for ideas on how to make coconut pies but the ingredients have lots of sugar in them. Is there a recipe that is lower in sugar that I can use instead. I made this recipe and just reduced the sugar in the custard to 1/4 cup. And for the whipped cream I actually didn’t add sugar. I found it to be absolutely delicious. I’m super excited to make this!…. Can I make it the day before?…. just top with the fresh whipped cream before serving? Hello. Really want to try this recipe, but I wanted to use pre-made crust. Is that ok? And whats the method to make it with that? I am confused. It says to add the sugar and cornstarch to a heavy bottomed sauce pan and then heat them?? And then add to the milks/yolks? I’ve never made custard before. Could I get some clarification there? This is my favorite coconut pie. I do a chocolate cookie crust and put a layer of ganache on the bottom, with the filling on top. Thanks for the great recipe! I’m going to make this pie for Christmas. I just made the pie crust and stuck it in the freezer. I am so nervous because homemade pie crusts always intimidate me. I am going to let it sit in the freezer overnight and make the custard portion tomorrow. I just had a question, I am nervous about putting my pie plate right from the freezer to a 425 degree oven. Won’t it crack? Yes, your pie pan will probably crack if you go directly from freezer to hot oven. Take it out of the freezer and let it sit on the counter for 30 minutes before popping it in the oven to blind bake the pie shell. For everyone asking about sweetened or unsweetened Coconut milk. I suspect you are thinking about the coconut milk in cartons in the milk section of the store. This recipe uses canned coconut milk. You can find it in various sections in the grocery stores, the baking aisle with all the canned evaporated milks, the drink mix aisle (think bloody mary mix, etc) or the ethnic foods aisle. You just can’t go wrong with homemade custard!! I have made this pie several times now for company, as it is hubbys favorite. And every time I make it I get asked for the recipe. So delicious. I’ve never changed a thing. It’s perfect just like it is!! Thank you for an amazing recipe!! I must say this is the best coconut cream pie I’ve ever had (not that I’ve had very many) and probably one of the best pies – or THE best pie – I’ve ever eaten! I used Thai Kitchen coconut milk and made half-and-half with heavy whipping cream & milk. I also used unsweetened coconut because it doesn’t have any weird ingredients; to sweeten, I added sugar to the toasted coconut (maybe 1/4 cup?) and to the custard (about 1/2 cup). I also used a different crust recipe: the butter crust recipe in Dr. Will Clower’s “The Fat Fallacy.” I made this pie for a New Year’s Eve dinner yesterday and everyone absolutely LOVED it! I will definitely be making this again and again! This pie was off the charts amazing! I made a mistake of accidentally using my 1/3 measuring cup instead of the 1/2 measuring cup when measuring out coconut milk and the half and half – oops. So, I had to add an extra yolk and additional cornstarch to make sure the consistency would still yield a thickened result – but I knew that it would probably be a LOT of filling, haha. Nonetheless, it worked out and the filling/custard was a larger layer than the recipe calls for, but I actually loved that because that custard is luxurious and tastes incredible! To make up for it (and because my pie dish wasn’t tall enough, haha) I reduced the amount of whipped topping. I packed a few slices for my boyfriend and then took the rest to work. My bf said it best when he texted this to me: “Not gonna lie, I inhaled the pie”. 🙂 Co-workers all raved as well. I won’t even be looking for any other coconut cream pie recipe to try. This is it. Thank you so much for sharing it with us! 1½ cups half-and-half ? What does that mean ? Great recipe. Easy and turned out well. In my oven, coconut was burned to a crisp by 6 minutes so be sure to watch it closely! I think it would be properly toasted by 3-4 at 350. Love coconut cream pie! 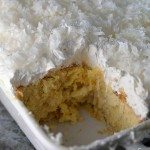 All time favorite..
for a coconut cake because I have never found a recipe that I liked better. I don’t this the bought one has whipped cream icing so I am going to see if you have a different icing recipe. Thank you for being you.